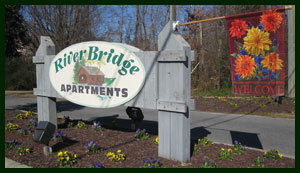 Conveniently located to Elizabeth City, River Bridge is Camden’s first multi-family apartment community offering reasonable rentals. This rental community offers residents the enjoyment of a quiet and secluded location nestled among the natural treed landscape. 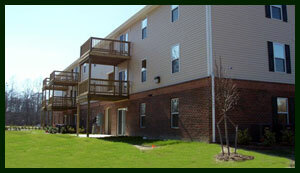 Many of our residents are employed in Elizabeth City and Virginia and return home to River Bridge to enjoy our spacious apartments and our quiet cozy private community. In addition to our spacious apartments with walk-in closets, a fully equipped kitchen and an over-sized full bath, residents enjoy the large outdoor lawn area with convenient grilling stations and picnic tables. Copyright © 2012 Blue Sky Development, All Rights Reserved.